This collection contains the California Open Educational Resources Council (CA OER) list of peer-reviewed textbooks for Introduction to Chemistry (common course-id CHEM 110) , a top 50 college course identified for inclusion in the California Open Online Library for Education (COOLforEd). CHEM 110 is the first semester of CHEM 120S, a year-long course. This is the first semester of a one-year course in chemistry intended for majors in the natural sciences (chemistry, biochemistry, biology, physics, pre-medicine), mathematics, and engineering. Floating Topics will be covered within the sequence. It is strongly recommended that both semesters be completed at a single institution before transfer. The laboratory sequence will support the above topics including both qualitative and quantitative experiments, analysis of data and error propagation. The American Chemical Society (ACS) General Chemistry Guide and the General Chemistry examinations provide information on topics and indicate an appropriate level of this sequence of courses, including learning goals and objectives. At the conclusion of the course, each student should be able to employ standard laboratory techniques appropriate to the course content, such as titration. 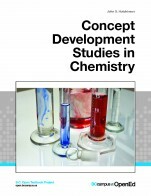 John Hutchinson's Concept Development Studies in Chemistry is for use with Socratic teaching or other active learning or interactive teaching styles. Each case study is a development of a major fundamental chemical concept, starting from experimental observations and following scientific reasoning to the development of a model. The ChemWiki project is a new approach toward chemistry education where an open access textbook environment is constantly being written and re-written partly by students and partly by faculty members resulting in a free Chemistry textbook to supplement or supplant conventional paper-based books. The ChemWiki curriculum has been mapped to the Zumdahl & Zumdahl, Chemistry textbook ed 8 as part of an NSF grant. This mapping can help adopting faculty to understand the navigation through ChemWiki from a previously used traditional textbook. Chemistry faculty at Diablo Valley College created the Web-based 3-D Molecular Exercises to help students visualize and manipulate molecules. David Ball's Introductory Chemistry open textbook is not intended to make you an expert. True expertise in any field is a years-long endeavor. This is a survey of some of the basic topics of chemistry. This survey should give one enough knowledge to appreciate the impact of chemistry in everyday life and, if necessary, prepare one for additional instruction in chemistry. 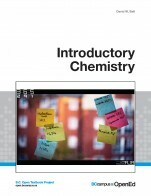 Throughout each chapter, two features reinforce the theme of the textbook—that chemistry is all around you. The first is a feature titled, appropriately, “Chemistry Is Everywhere.” Chemistry Is Everywhere” focuses on the personal hygiene products used every morning: toothpaste, soap, and shampoo, among others. The other feature focuses on chemistry that likely indulged in every day: eating and drinking.